I am so stinking excited to teach Secret Garden this year. I took my old version of the unit activities and completely did a facelift! You won’t even recognize it! 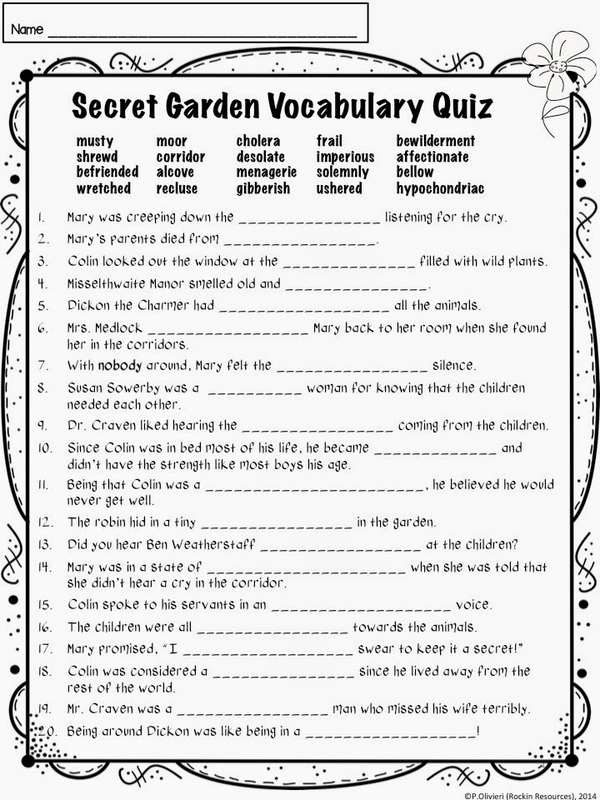 This extensive unit is based on the story, Secret Garden, by Frances Hudgson Burnett and is a aligned to COMMON CORE standards with oodles of reading skills! 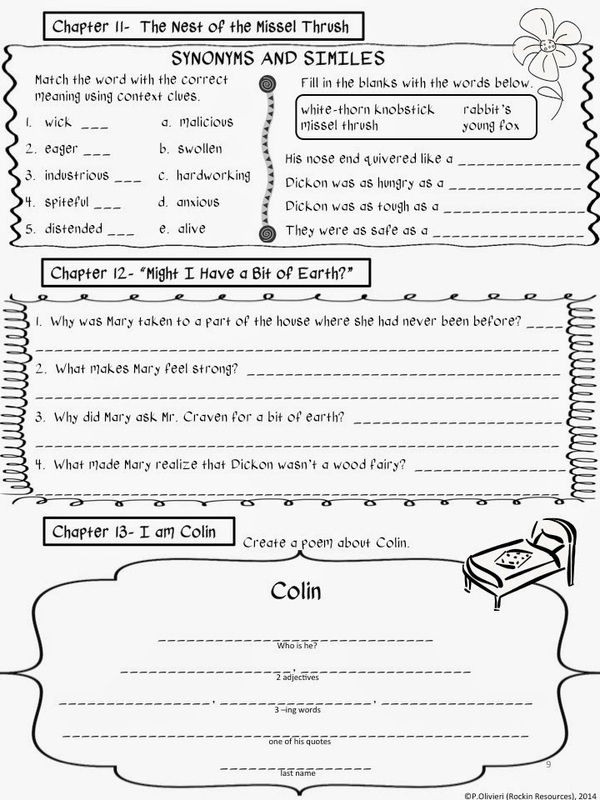 It has chapter questions and activity sheets that I create into a student notebook, a vocabulary quiz and a unit test. The test has 26 questions based around BLOOM’S TAXONOMY!!!! Answers to all the questions and tests are included. If you are a Facebook fan, I am offering a free copy today to a winner. Go to https://www.facebook.com/rockinteachingresources to enter!